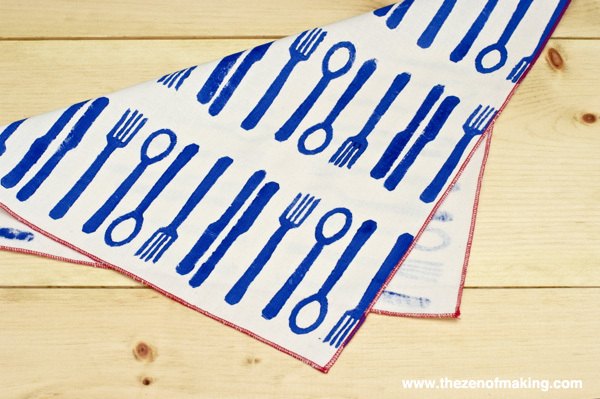 Make a set of quirky cloth napkins with a modern spoon, fork, and knife pattern with my new block printed napkin tutorial and free downloadable template! 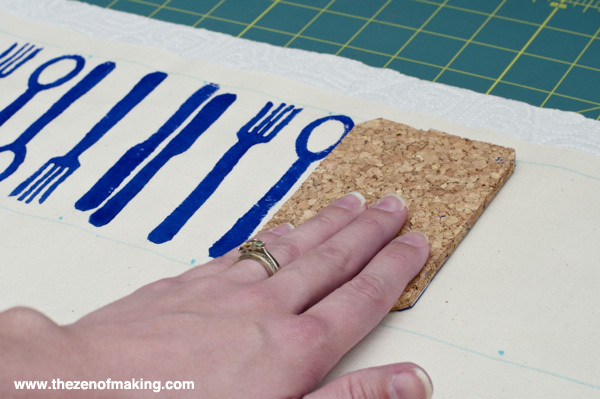 Print the Napkin Block Printing Template PDF, then use a craft knife to carefully cut out the center of each shape using the printed lines as a guide. 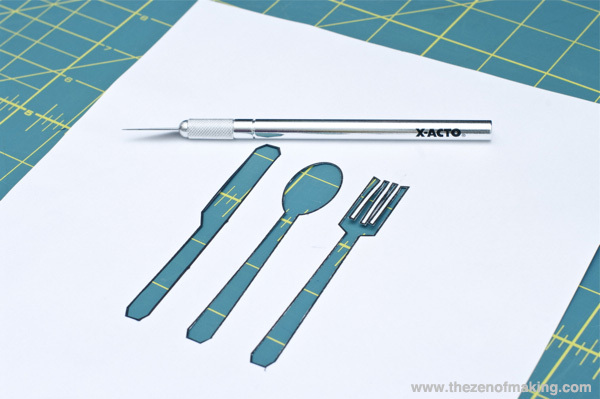 Place the cut out template on top of a foam sheet, then use a fine tip marker to trace the shapes onto the foam. 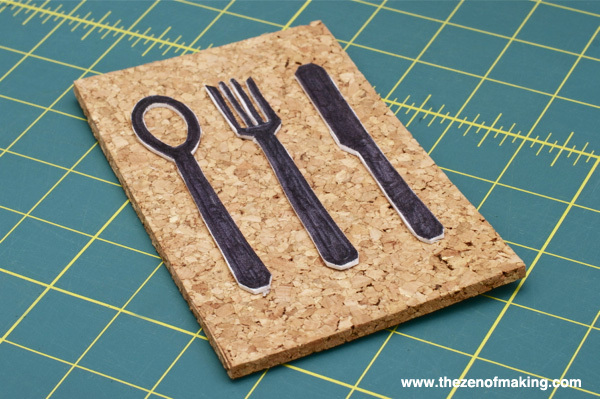 Use a craft knife to cut out the foam shapes, then mount them on the cork tile with craft adhesive. Allow the glue to dry completely before moving on to the next step. 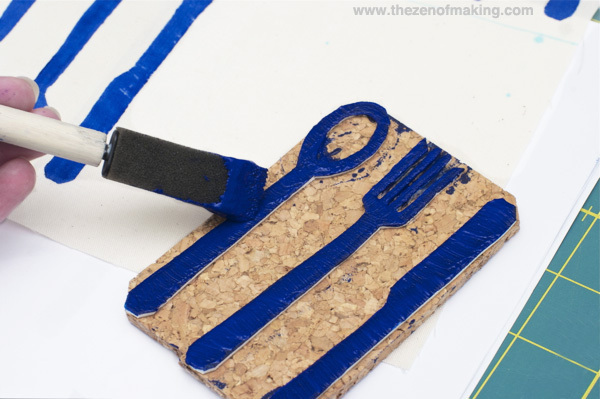 Apply a thin layer of fabric paint to the stamp with a sponge brush. 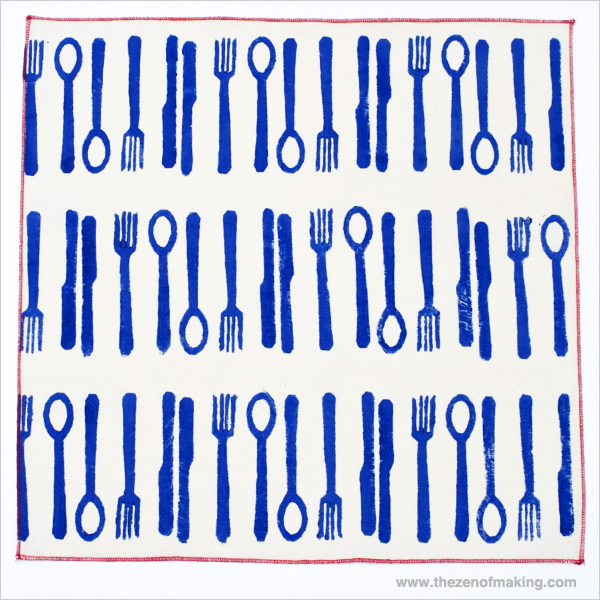 Print the pattern on each 16" x 16" fabric square by pressing the stamp straight down with firm, even pressure. Add more paint to the stamp between each print. 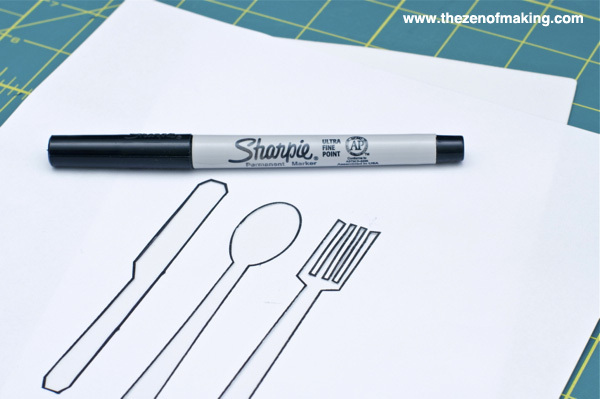 Tip: To keep the printing precise, mark the pattern placement using a ruler and a fabric pen. Allow the paint to dry completely before moving on to the next step. 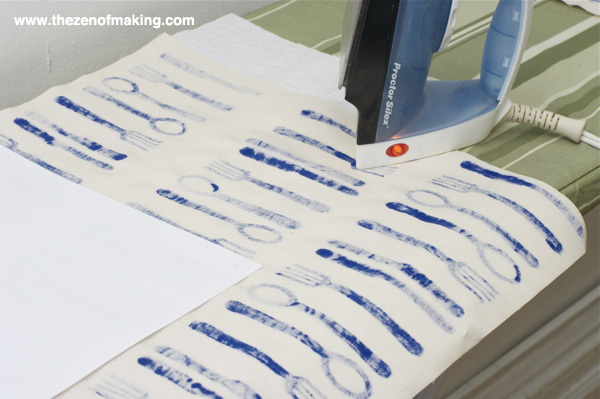 Use an iron to heat set the fabric paint according to the instructions on the package. 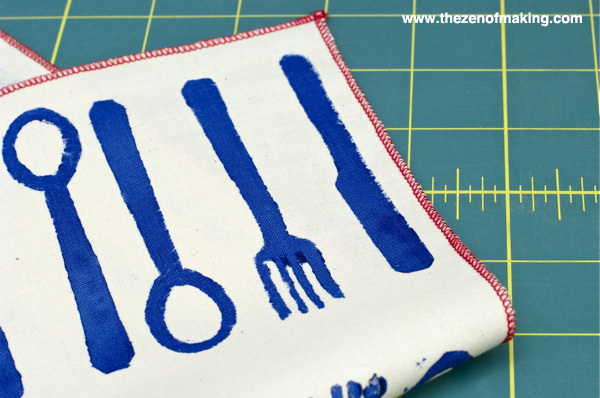 To finish the napkins, serge around the edges or use a sewing machine to hem the edges using a ¼" seam. 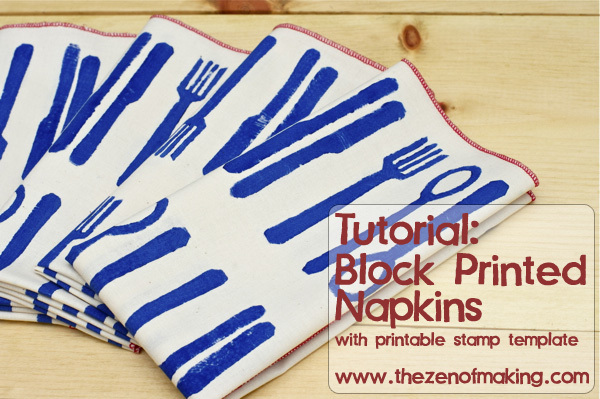 Wash and dry the napkins, then press flat. 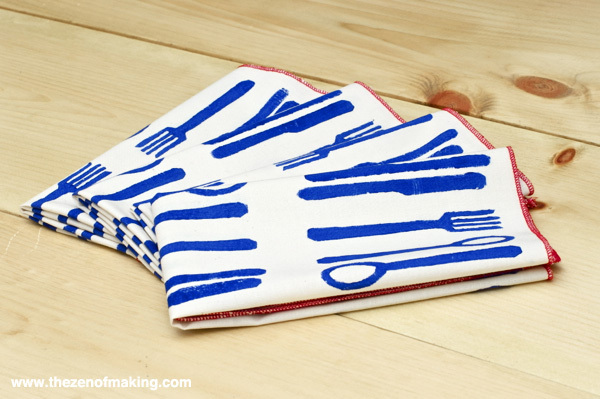 I love my new napkins, and I’m especially pleased with how well the clear, bold prints turned out. I’m more than a little bit tempted to make a matching table runner, placemats, and apron to go with them! For more detailed instructions and fabric printing tips, head over to my Quick and Easy Fabric Printing Tutorial! Love DIY? Support Taco Hat TV! I adore these!! So pretty! These napkins look brilliant, such a good idea. Thanks for sharing. 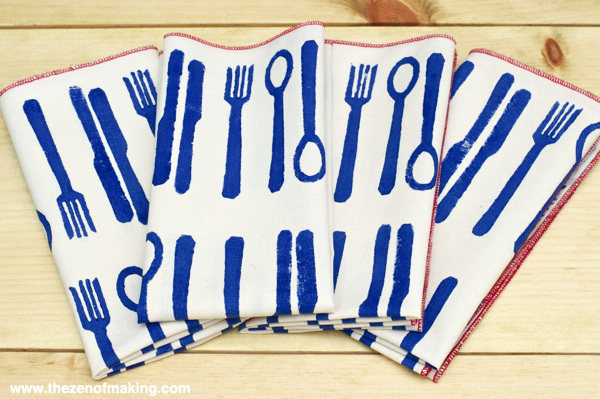 I love these tried and true modern napkins! I may be making these for Christmas this year! Wow that had lots of options on could do. If one doesn’t like sewing they could just use tea towels you can get from Target.